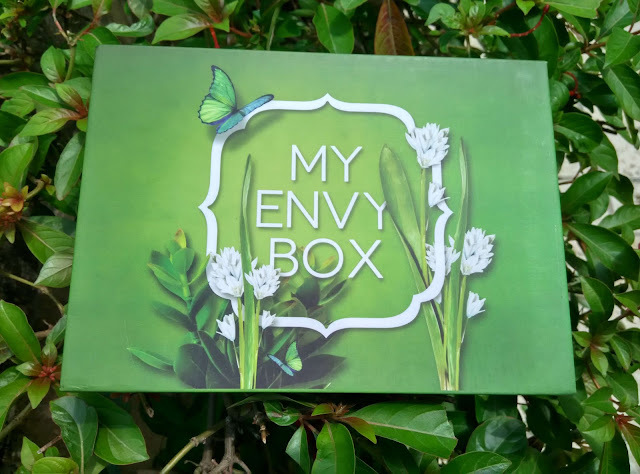 Every month I eagerly wait for My Envy Box to arrive at my doorstep. I feel so excited whenever the courier guy handover me My Envy Box. No matter what I am doing, I will leave that work and unbox My Envy Box. Its July month and I expected the box colour to be green and yes here it is. 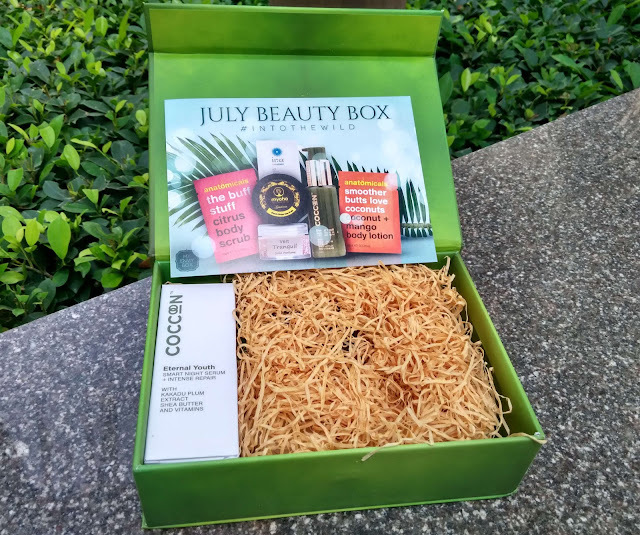 My Envy Box July 2017 box is leafy green in colour and represents the colour of monsoon, greenery, freshness. 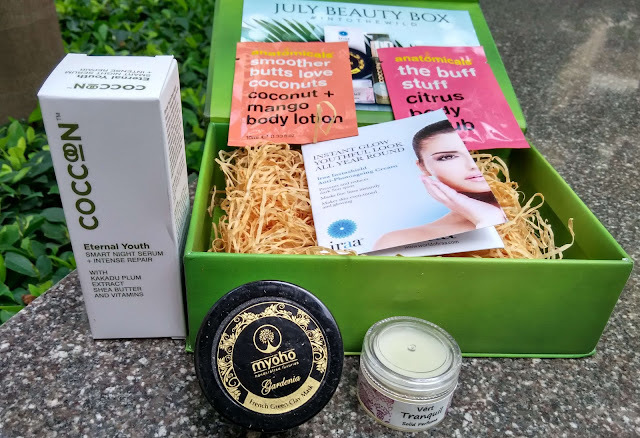 Keep reading to know what all I received in this month’s box. I really appreciate My Envy Box team for being so creative to roll over beautiful boxes one after the other. I would like to sneak into their office meetings where they discuss about box designs (haha). The first product is Coccoon Eternal Youth serum. This 30gm serum is priced at Rs. 599. I have to try this serum to let you know more about it. Other three are sample size products. I am personally not fan of sample size products as one or two time usage is not sufficient to determine how good or not so good it is. One is Iraa insta shield cream, anatomicals body lotion and citrus body scrub. even though have six products but felt empty somehow I don’t know why. 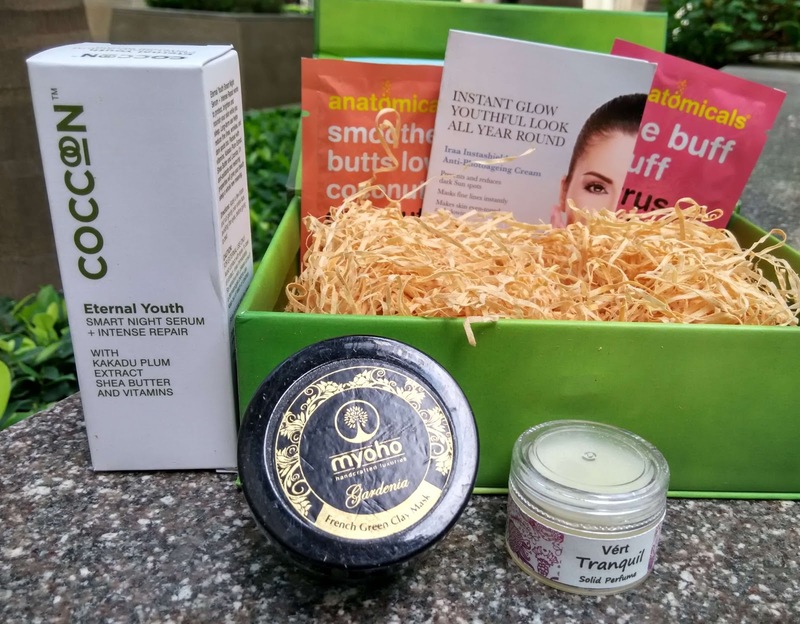 Let me know which one was your favourite product in this box?